Found Footage Magazine is an independent semi-annual publication distributed worldwide, offering theoretical, analytical and informative contents related to found footage filmmaking. Found Footage Magazine accommodates a selection of articles and sections aimed at promoting the culture of recycled cinema from different approaches: monographs, academic essays, interviews, opinion pieces, film reviews, film festival reports and profiles of media products related to the eclectic universe of found footage film-making. Found Footage Magazine is a double-blind peer reviewed publication. 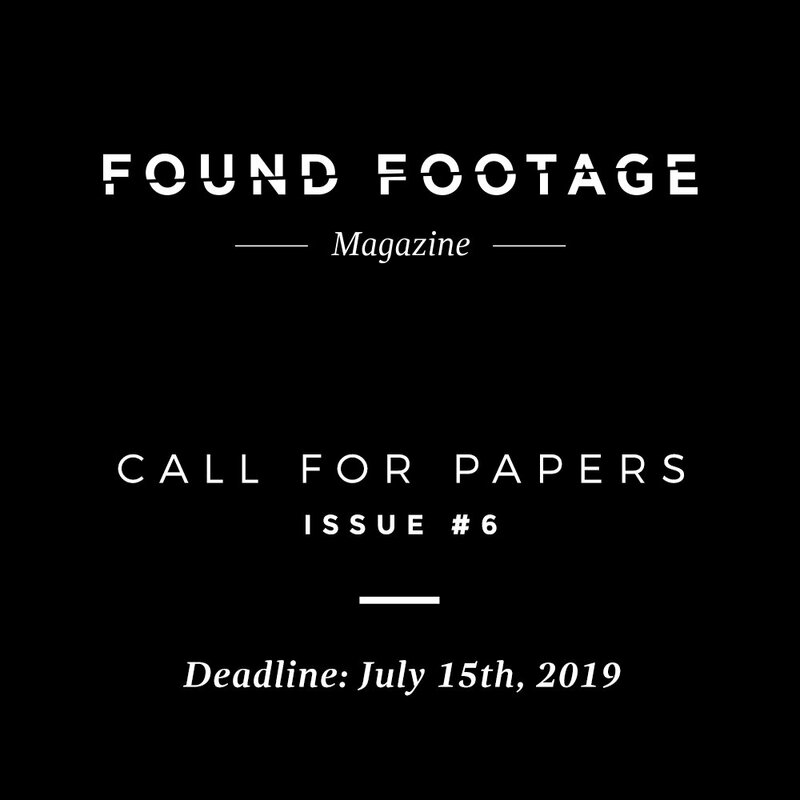 For each issue, Found Footage Magazine will select essays/articles that engage with scholar discourses from a wide range of found footage filmmaking theory and praxis. Articles must be written in clear, grammatical English. Found Footage Magazine does not pay remuneration to authors. Book and film reviews are also welcome. Found Footage Magazine only admits unpublished and original works. The essay/article must not be under review or be submitted for an elsewhere publication. Authors will be notified of acceptance or rejection as soon as possible. Essays length: between 18,000 and 35,000 characters with spaces (including footnotes). Articles length: between 10,000 and 18,000 characters with spaces (including footnotes). Book/film reviews length: between 4,000 and 8,000 characters with spaces. The author will be responsible for obtaining permission for the use of images under copyright. If the manuscript is accepted, the author should sign a letter of agreement. Found Footage Magazine will not accept liability for the opinions expressed in submitted writings. The names and email addresses sent to Found Footage Magazine site will be used exclusively for the stated purposes of this journal and will not be made available for any other purpose. Authors retain copyright and grant Found Footage Magazine right of first publication with the work simultaneously licensed under a Creative Commons Attribution License that allows others to share the work with an acknowledgement of the work’s authorship and initial publication in this journal.